Even if you are a young person with a small income, it is a good idea to start using credit to create a credit history and boost your credit score – provided of course that you can handle credit in a responsible way. It can also be a good idea to try to invest some money. Even small investments help to indicate that you can handle money. When i say investments i mean investments in stock or mutual funds. Investments of a more speculative nature such as investments in binary options or CFD certificates will not help you seem more responsible. The way the systems for estimating creditworthiness for individuals in the United States works, having no credit history at all can cause a problem if you ever need to apply for a loan, e.g. a mortgage loan to purchase a house or a condo, or an auto-loan to be able to transport yourself to work. A person without credit history will usually be approved for smaller amounts than someone with a good credit history, and can also face higher interest rates and fees. That is true even if you can show that you have just landed a job with a great salary. Another problem facing young adults with no credit history is that many landlords want to check out your credit report or credit score before they rent to you. Without a good credit history, you might be denied or required to get a cosigner. 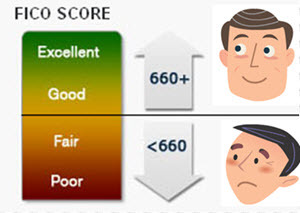 It is also well known that many employers check out the credit reports of prospective clients before they hire, and in the eyes of many employers, having a few select and well-manged lines of credit with a low credit utilization ratio will look better than having absolutely no credit history at all. So, even if you are doing perfectly fine without any credit, it can still be a good idea to start building that nice credit report and boost your credit score while you’re still young. You never know what the future brings and having a high credit score can be beneficial in many situations. One way of building credit history is to apply for a credit card and then use to pay for things that you have to pay for anyway, such as groceries and utilities. This doesn’t have to cost you anything if you get a credit card with $0 annual fee that charges you 0% interest rate on purchases as long as you pay the bill in full each month. Be careful with cash advances, because most credit card issuers will charge interest on those form day one, so you’ll end up paying interest even if you pay your monthly bill in full when it arrives. There are special credit cards available for students. If you are student, especially a young student, you may find it difficult to qualify for a standard credit card. Not because you have proven to be irresponsible with credit in the past, but simply because you haven’t had much time to build a credit history. Many students go directly to college from living at home with their parents, without having a full-time job and an independent household economy in between. To make it possible for students to have a credit card, many credit card issuers have created special student credit cards that doesn’t have the same credit score and income requirements as standard credit cards. With a student credit card, the student can start building his or her credit score and get used to managing credit while still in school. Student credit cards usually come with a low line of credit and no annual fee. Some will offer perks tied to student life, e.g. a cash bonus for good grades. What’s required to be seen as a student in the eyes of a credit card issuer can vary, both when it comes to the full-time / part-time distinction and when it comes to the difference between college students, graduate students, and other types of students. If you have no credit history, or even worse – a bad credit score – you may find it difficult to get a credit card, especially without a cosigner. Fortunately, there is solution available and that is the secured credit card. To get a secured credit card, you have to make a deposit with the issuer and this deposit will be used as collateral. In case you fail to pay back, the issuer can take money from the deposit as compensation. A secured credit card is not the same thing as a debit card or a prepaid card, because it actually counts as a credit card. If you want to get a secured credit card, make sure you get one where your conduct will be reported to one or more of the big consumer reporting agencies in the country. This way, you can gradually build up your credit score and create a good credit history for yourself by using the secured credit card in a responsible manner. 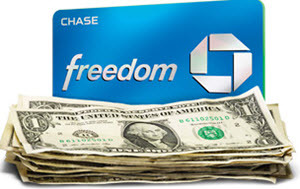 In the United States, the US Credit CARD Act of 2009 requires a person under the age of 21 to prove their financial independence and ability to repay a debt before they can be approved for a credit card without a cosigner. The intention of this rule is to make it more difficult for young people to rack up credit that they can not reasonably pay back. The US Credit CARD Act also prohibits the mailing of credit card offers to persons under the age of 21, unless that person actively “opts in”.